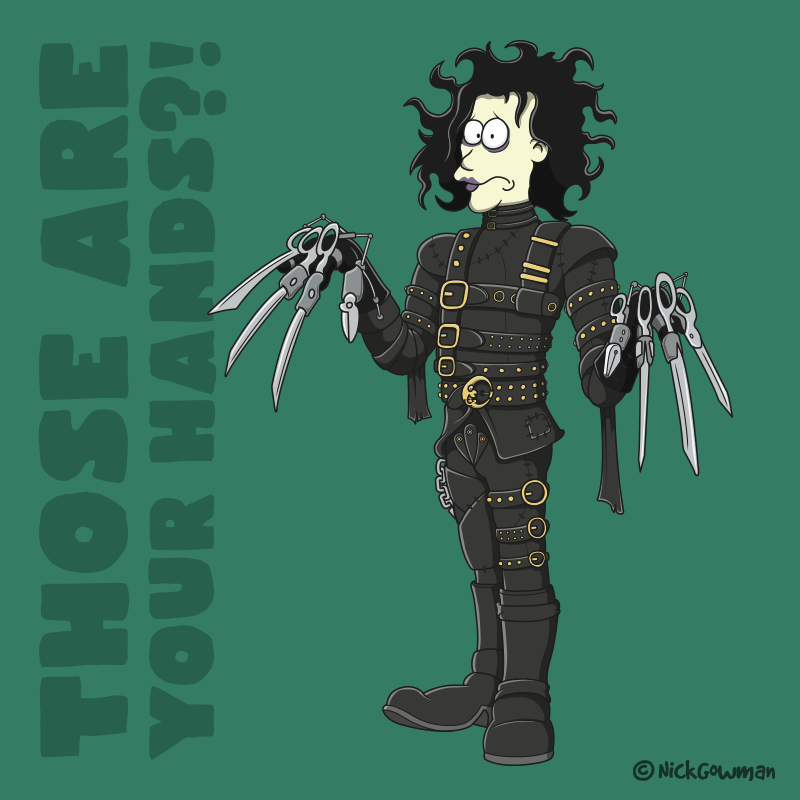 Edward Scissorhands is a 1990 movie by Tim Burton, and stars Johnny Depp in the main role as Edward, a gentle man with scissors for hands, who is brought into a new community after living for many years in isolation. This piece was especially fun to create working with all of the various details in his clothing, consisting of various leather straps and buckles. The scissors were also a key feature of his character, so I made sure these were slightly oversized and exaggerated. I’m also pleased with the bemused expression on his face, very akin to how Edward Scissorhands appears in the movie.